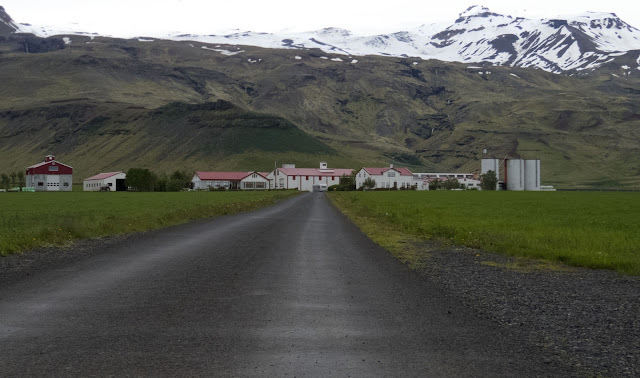 Iceland's South Coast is easily accessible by car from Reykjavik and is an ideal self-drive day trip if you're planning a shorter stay in Iceland. I took a short 4-day trip to Iceland with three colleagues from my 'day job' in June 2017. 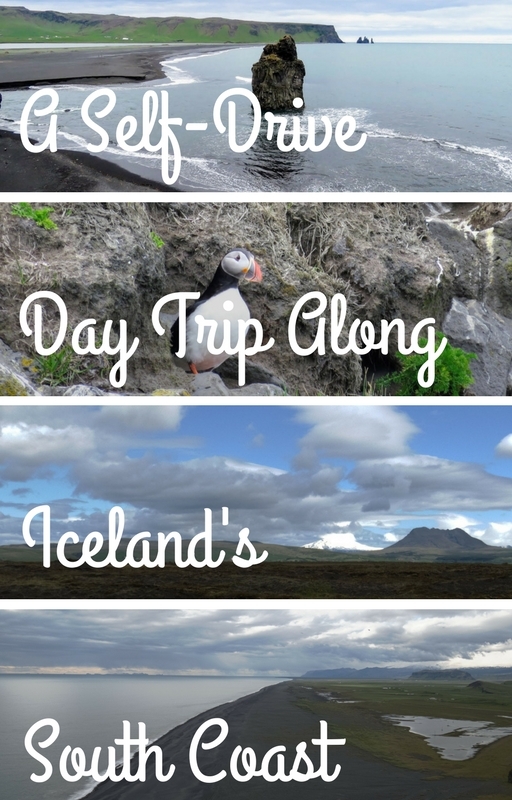 We stationed ourselves in Reykjavik, rented a car, and planned various day trips during our stay (e.g., a self-drive around the Golden Circle). I was particularly intrigued by the possibility of seeing puffins from land. 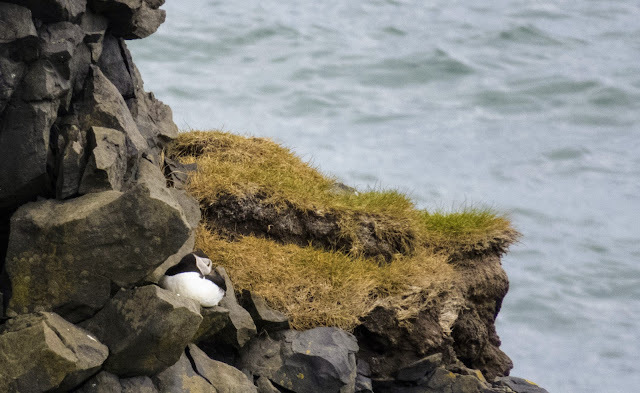 I'd read that puffins could often be found along the craggy cliffs at Dyrhólaey Peninsula not from from Vik so I was sold on this South Coast adventure! 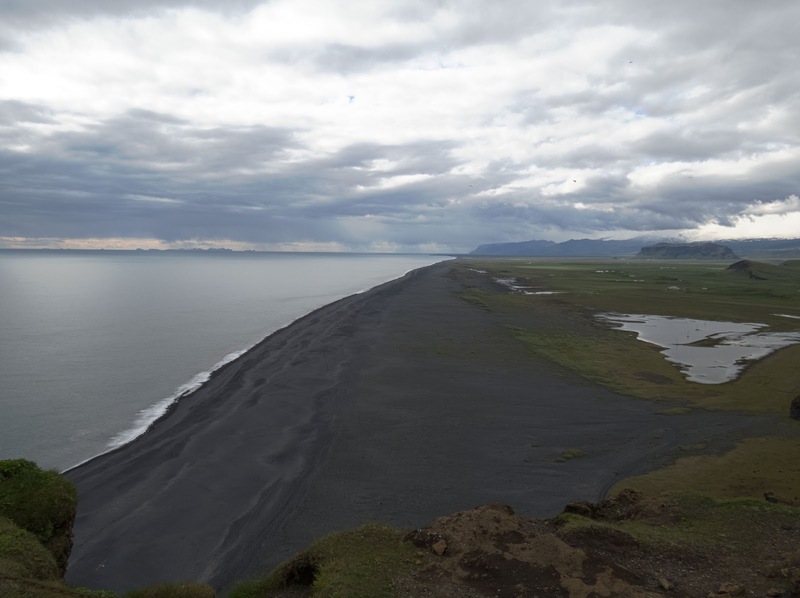 There is plenty to see along the road when traveling by car between Reykjavik and Vik. We stopped at Seljalandsfoss on a blustery morning. The water tumbles over the rocks into a wildflower lined river below. The stunning scenery was part of the appeal of this Iceland South Coast road trip. When stopping at Seljalandsfoss make sure to take your time and hike the winding trail along the base of the waterfall to your left as you're facing the falls. I almost turned back too soon and nearly missed Gljúfrabúi Waterfall. 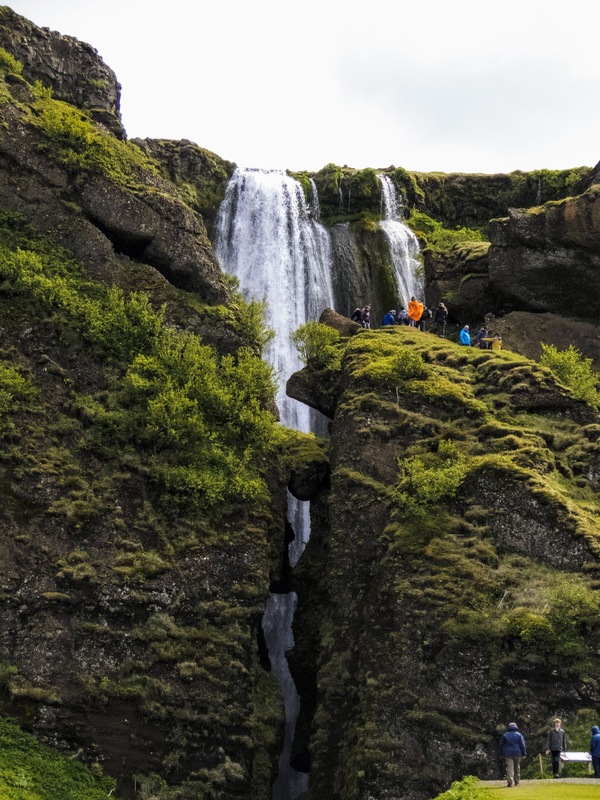 Situated about a 10 minute walk up the trail from Seljalandsfoss, you can climb over slippery rocks and into a back chamber at the base of the waterfall. Be prepared to get wet and wear waterproof gear to avoid being soaked and miserable later. I've never seen anything like Gljúfrabúi in my travels to date. My regular readers know that I love using Google Maps to find interesting places to eat on our travels. Driving between Reykjavik and Vik, I discovered Gamla fjósið. We filled up on a delicious all you can eat beef soup with Icelandic Skyr for dessert. Restaurants are few and far between on Iceland's Southern Coast so yes, lunch was expensive (most things in Iceland are expensive), and cost us more than the equivalent of $20 USD for this humble meal. Driving along Highway 1 in Iceland between Reykjavik and Vik takes visitors past a farm with a stunning caldera behind it. A plaque marks the spot where you can view Eyjafjallajökull, Iceland's volcano that erupted in 2010 bringing air traffic to a standstill and throwing travel into chaos. It's hard to believe that this quiet, picturesque landscape was the site of a violent eruption just seven years ago. Driving along Highway 1 between Vik and Reykjavik, we discovered an adorable house that almost blended into the surrounding craggy peaks. Traditional Icelandic houses feature sod roofs. Seeing one felt like being transported back in time. 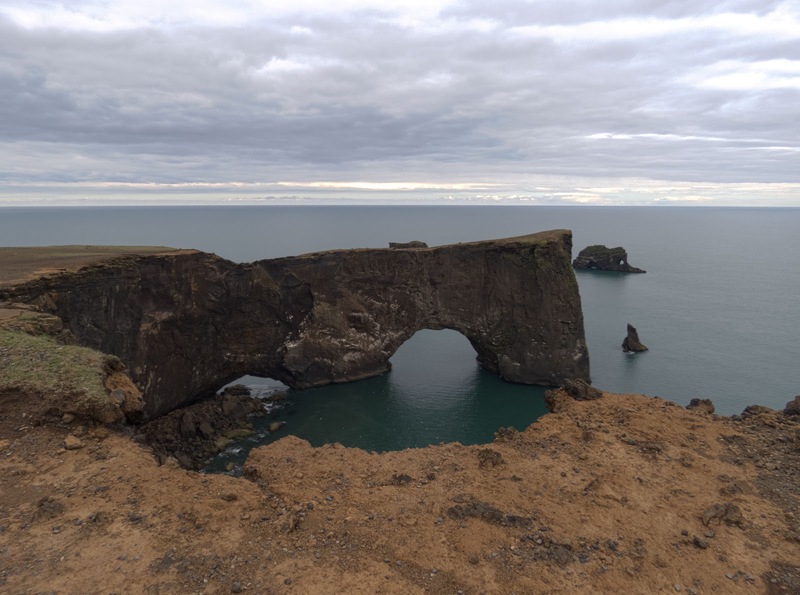 Dyrhólaey Peninsula is a little over two hours drive point-to-point from Reykjavik. With the sightseeing that we did and our stop for lunch, we arrived at Dyrhólaey in the mid-afternoon. 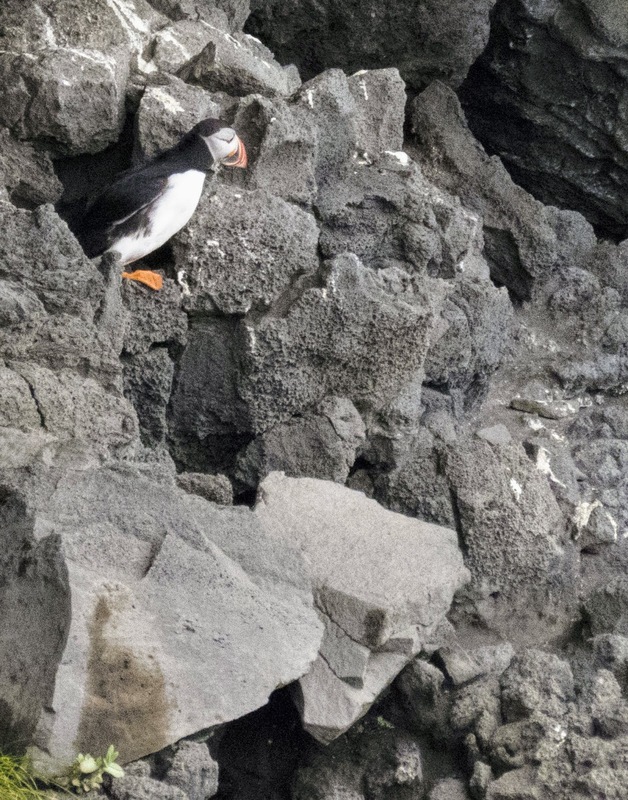 Now for the million dollar question: would we see puffins from land? I don't particularly like traveling by boat so I welcomed the opportunity to avoid the risk of seasickness and do some puffin-watching from land. I was discouraged at first. We saw plenty of Eider ducks and other birds but no puffins. It was only when I started scanning the distant cliffs with the 65x zoom lens on my camera that I spotted something black and white. Puffins! Puffins look deceptively big in photos. They really are tiny birds and can be difficult to spot from land. However, with a big enough zoom lens, it is possible to see puffins from land at Dyrhólaey Peninsula. Scanning the water, I managed to spot a flock of puffins floating in the sea searching for fish. Scanning the rocks again, I spotted a puffin a little closer to where we were. ...jumping down using its wings for balance. At one point, my puffin seemed to be playing hide and seek with me. I could just make out its webbed feet underneath a rock. Then something magical happened. 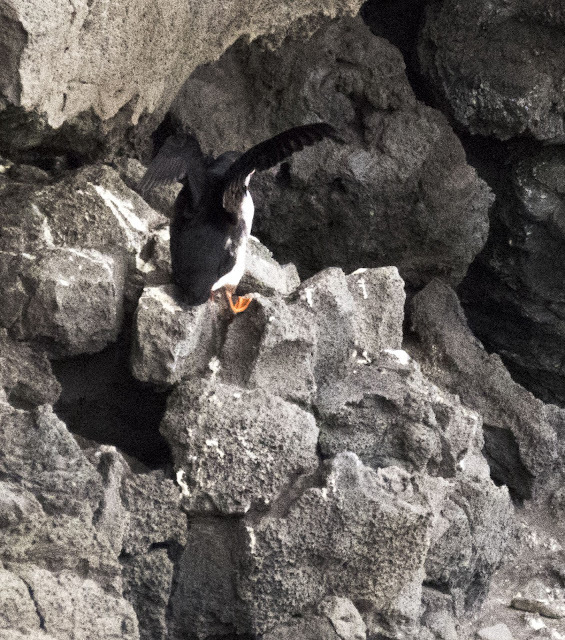 For about 30 seconds, the puffin flew to the top of the cliff and settled on a rock pretty close to where we were standing. I managed to swing my camera around and focus just in time. Puffins are busy creatures and before I knew it, this one was gone. I'd definitely recommend Dyrhólaey Peninsula if you want to see puffins in the Spring/Summer without getting on a boat. Even if you're unlucky and don't manage to see puffins, Dyrhólaey Peninsula features some amazing scenery in its own right. Watch the waves roll into the sheer cliff faces. I loved this solitary peak emerging from the water. This view epitomizes our Southern Iceland road trip. It's all about chasing the scenery. Dyrhólaey Peninsula is easy enough to get to with a regular car. If you have a 4 wheel drive SUV like we did, you could consider braving the unpaved and winding road up to Dyrhólaey Lighthouse. One of my colleagues was driving and I was hanging onto the "Oh Sh**" bar for the entire ride up and down from the lighthouse so I didn't take any pictures of that crazy road. It was worth it in the end though. We were able to park, walk around and see some amazing views of mountain peaks, seaside cliffs, and black sand beaches. We walked right up to the cliff's edge. Stunning. The small town of Vik is a convenient refueling point (for both the car and the humans inside) before turning around and driving back to Reykjavik. We arrived in Vik at around 4:30 pm. We made many fewer stops on our return to Reykjavik and thus arrived back from our day trip driving around Southern Iceland just in time for a late dinner. Fermented shark and whale, anyone? 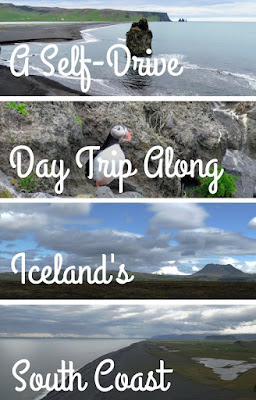 Come along on a day trip self-drive from Reykjavik to Vik Iceland to admire the scenery and search for puffins from land. A photo-rich blog post from travel blogger, Jennifer (aka Dr. J), from Sidewalk Safari.